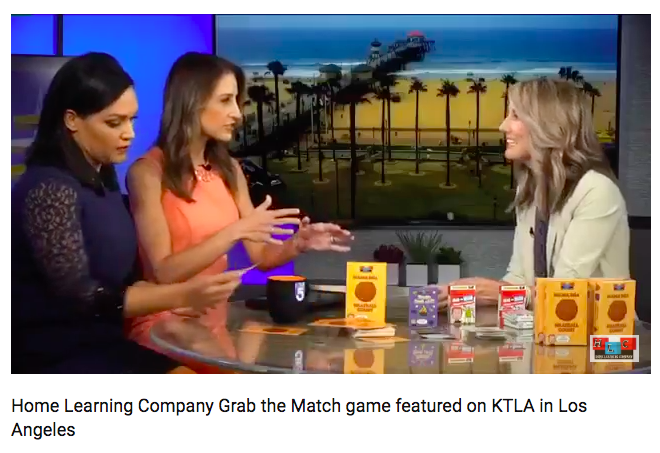 Check out our very own ChicExec superstar, Courtney Bustillos, on KTLA, talking about our client Home Learning Company! Courtney showcases Home Learning Company’s “Grab the Match“, a game she loves to play with her 5 & 7 year olds. While the game is a memory matching game with shapes, colors, and sight words, she works on spelling shape and color words with her 7-year old. Checking off another PR piece for Home Learning Company.